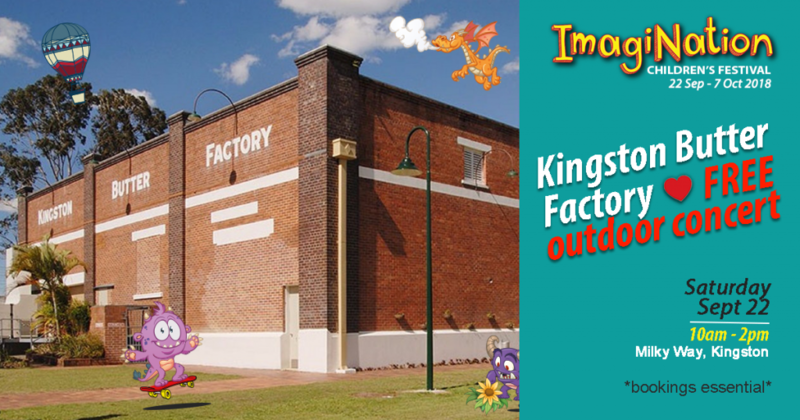 Kick off the school holidays with a FREE fun concert for the kids at Kingston Butter Factory. Get your toes tapping to a performance bursting with original songs and dance by popular children’s performers Kangagang. Then journey on a fantastic adventure into Australian history with Renata and her beautiful animal puppets as they tell the stories of our past through to our present. During the concert, enjoy FREE interactive children’s activities including getting up close with some of our country’s unique native animals at the Geckoes Wildlife Show.